Even a little bit of mold growth can cause big disruptions to businesses. 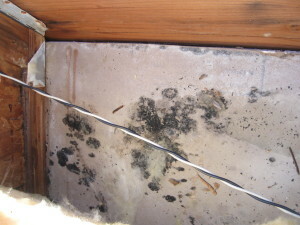 If you think you may have a mold problem in your business or office space call Ally1 today. We specialize in commercial mold removal in the Southern Utah area. People often ask if mold is dangerous to humans, and the answer is YES! If you suspect you may have mold don’t delay. Mold spores can germinate in as little as 12 hours and begin spreading within 24-48 hours. Commercial mold problems will not go away! They will not resolve themselves. The longer you wait the bigger, and more costly, the problem may become. Ally1, serving the Southern Utah area, can answer your questions and help ensure your building is free of mold and safe for your employees and customers. Do you notice a musty odor in your business? Is anyone in your business reporting health problems? Has your business been remodeled recently? Call Ally1 Disaster Solutions in Southern Utah today to schedule professional and confidential mold inspection and removal.